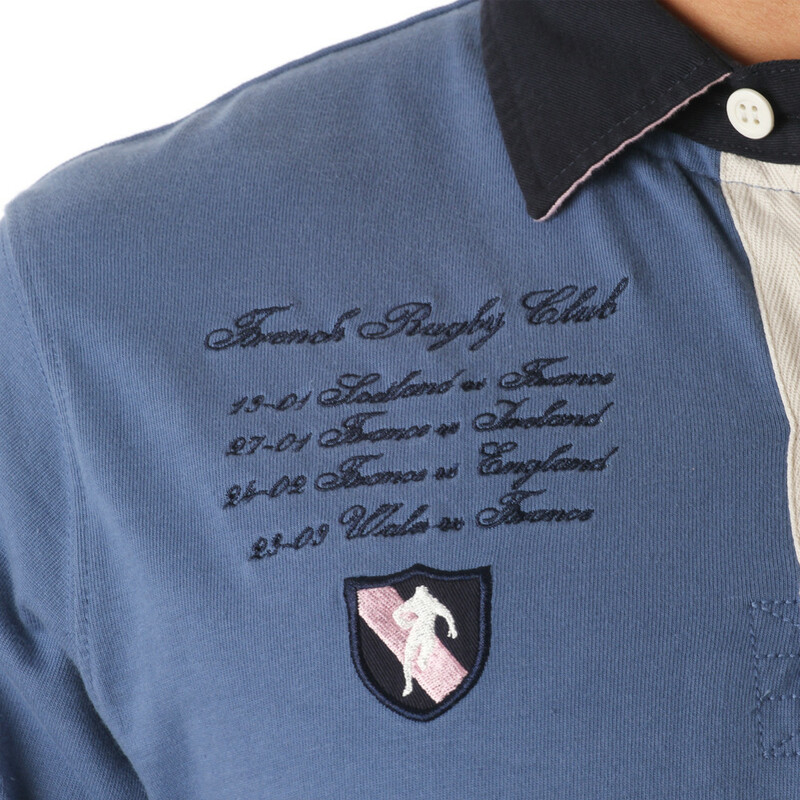 This 100% heavy jersey cotton polo shirt is extremely comfortable. 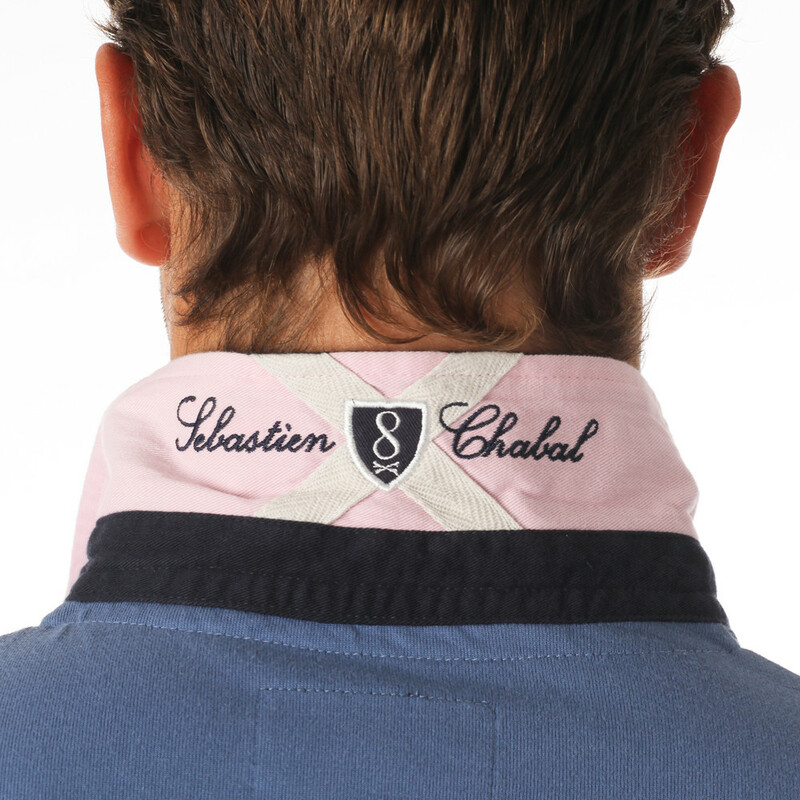 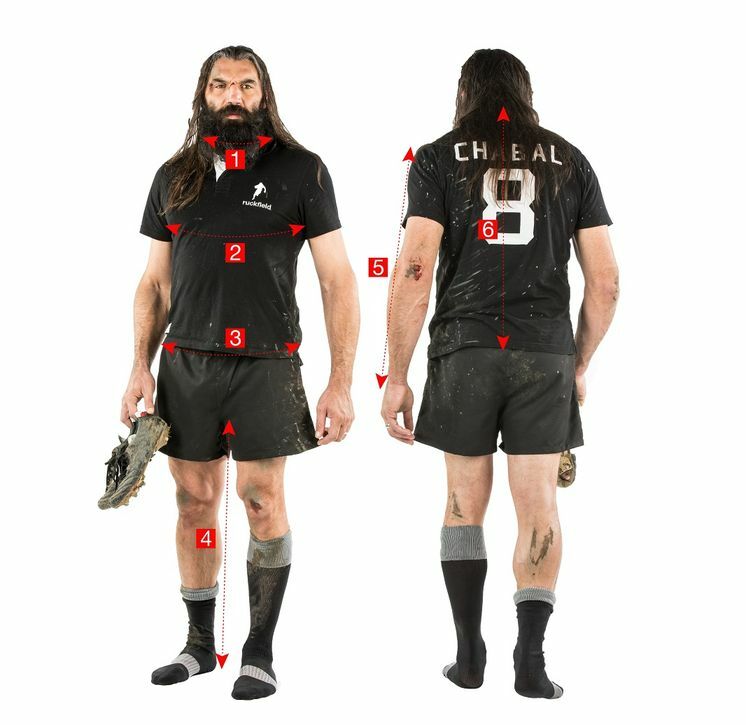 With its fine embroideries on the chest and the back, its "Sébastien Chabal"-embroidered wrong-side of the collar, it perfectly embodies the whole smart rugby world. 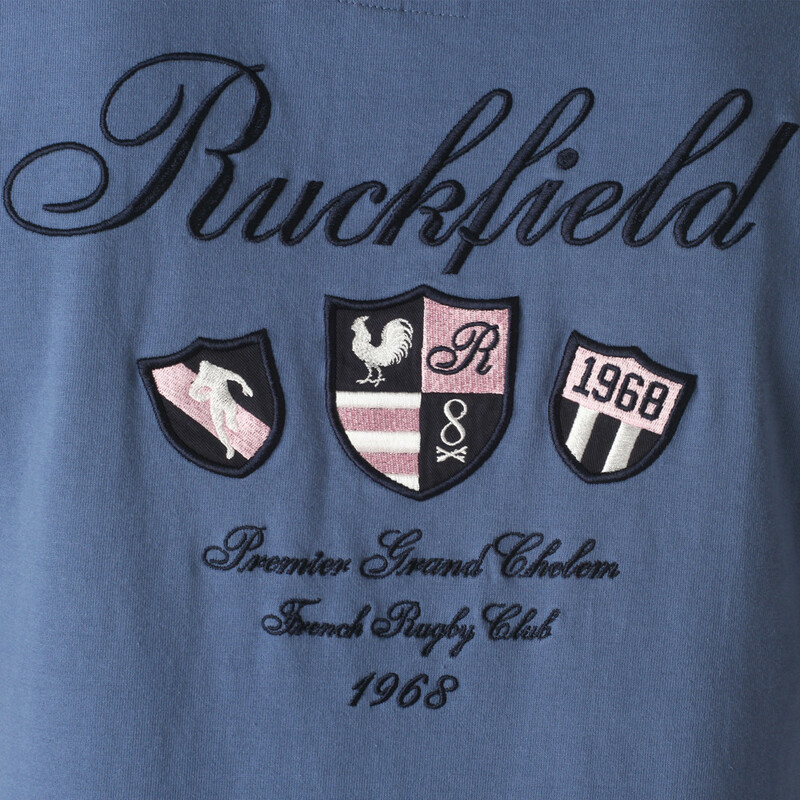 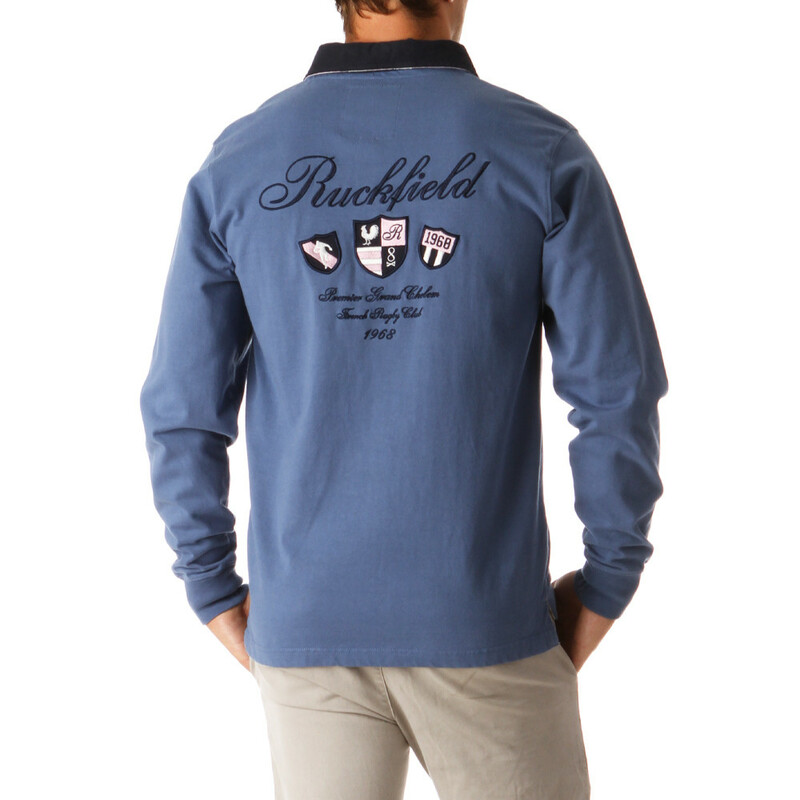 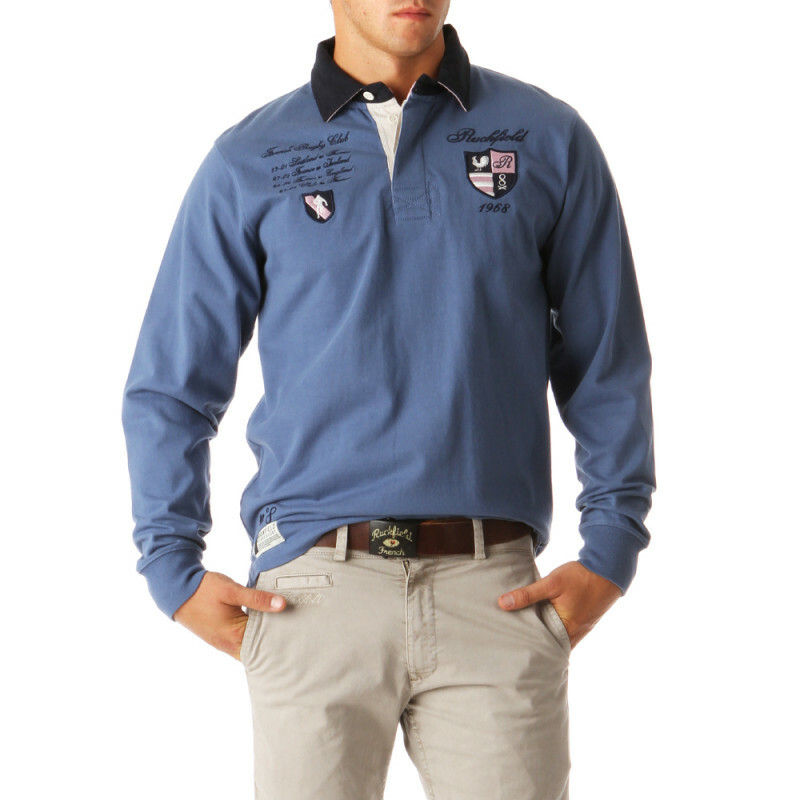 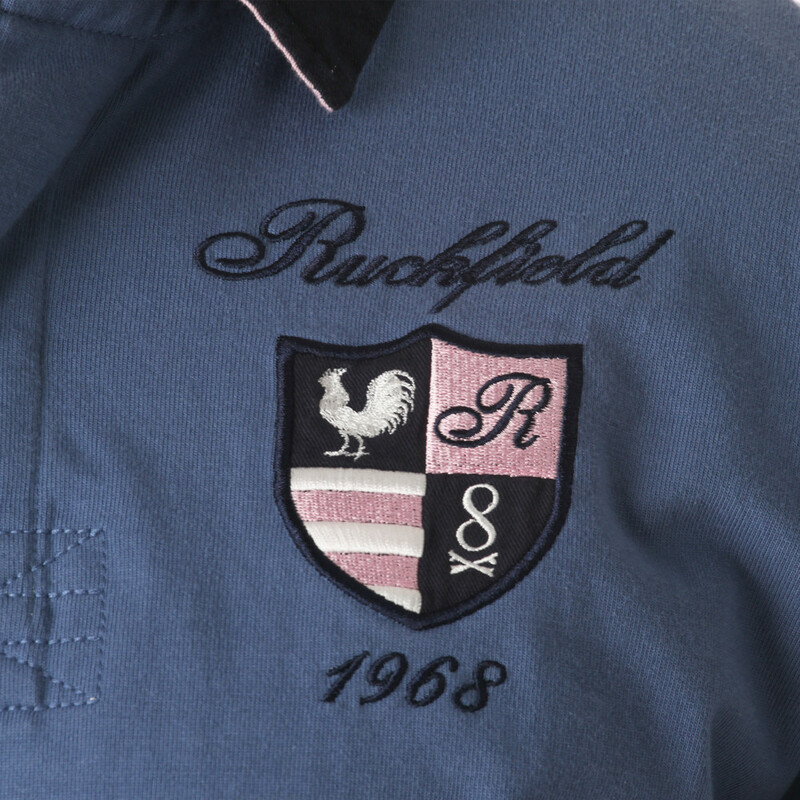 A subtile combination of sky blue and pink, this classic rugby polo shirt perfectly matches a smart outfit.